Samsung had to stop U.S. pre-orders for its breakthrough foldable smartphone in just one day due to high demand, the company said Sunday. 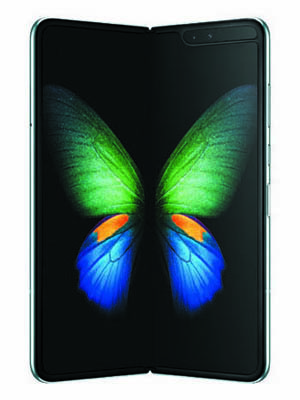 Over 10,000 people pre-ordered the Galaxy Fold, which is due to be released in the U.S. on April 26. Samsung began accepting pre-orders through its website on April 12. Although the phone runs on the 4G LTE network, it is priced at an eye-watering US$1,980. But the following day the company had to announce that pre-orders are closed. It did not specify how many handsets it had prepared for pre-orders, but guesses are in the region of only 10,000. The screen measures 4.6 inches folded and 7.3 inches unfolded. A small Chinese firm also launched a foldable phone last year, but sales were minimal, while Samsung aims to sell 1 million Galaxy Folds this year. The gadget will be released in 15 European countries on May 3, and a 5G model will be launched in mid-May in Korea. The price is expected to be around W2.3 to 2.4 million (US$1=W1,138).